Hi, folks! If you just heard me on NPR’s Weekend Edition regarding the NIST Budget cuts to WWV, WWVH, and WWVB, welcome, and stick around! This is where the SWLing Post (and other projects we work on, such as the Shortwave Archive, the Radio Spectrum Archive, and the non-profit, Ears to Our World) serve up all things shortwave. Here, we discuss both the fun (and importance) of this cool old-school medium that, remarkably enough, still has relevance even in our internet-interconnected world. And for our regular Post readers: on Thursday afternoon, I had the great pleasure of being interviewed by Scott Simon of NPR via Radio Canada/CBC in Québec City, QC, Canada. More on that to come. Or what it might mean to the shortwaves themselves, which we in North America may appreciate a source of nostalgia or entertainment––and, yes, handy for keeping time––we have to recognize that there are still pockets of our world, especially in remote, rural, and/or war-torn regions, where shortwave radio is especially vital. So, something that belongs to all of us––yet another example of a global source of information––may soon be taken away. If you disagree with this proposal, I urge you to contact your local representatives, and sign this White House petition. This entry was posted in Interviews, News, Shortwave Radio and tagged National Public Radio, Ned Wharton, NIST, NIST 2019 Budget Request, NIST Time Station, NPR, Scott Simon, Weekend Edition, WWV, WWV Closure, WWVB, WWVB Closure, WWVH, WWVH Closure on August 25, 2018 by Thomas. From left to right: Dean Takamatsu, Dean Okayama, Director Copan, Adela Mae Ochinang and Chris Fujita. The National Institute of Standards and Technology (NIST) has campuses in Maryland, Colorado, South Carolina and Hawaii. Perhaps calling it a “campus” is a bit of an exaggeration. Ensconced within the U.S. Navy’s Pacific Missile Range Facility on the western Hawaiian island of Kauai (pronounced ka-why-ee), sits one of NIST’s shortwave radio stations, perhaps best known by its call sign, WWVH. Kauai is a beautiful and remote island with unique climate diversity. In the middle of the island, you have one of the wettest places on Earth, Mount Waialeale (pronounced why-ah-lay-ah-lay), which receives an average of 1,148 centimeters (452 inches) of rain per year. Twenty-five kilometers away, the island’s western coast gets a mere 56 cm (22 inches) of rain per year. This is where you will find the NIST radio station. WWVH’s main objective is to broadcast Coordinated Universal Time (UTC)—the official time for the entire planet—throughout the Pacific region. Those signals help their audience coordinate, calibrate and synchronize their clocks and equipment, which are vital to telecommunications, internet connections and a whole host of other services. In addition to accurate time and frequency information, the station also broadcasts weather alerts and space weather reports. Although Barbe died in 2003, her beloved voice lives on. WWVH actually broadcasts her voice using several frequencies: 2.5, 5, 10 and 15 megahertz. The different frequencies cast a wide net so that users of the broadcast will receive a signal regardless of interference from mountains, atmospheric activity or the time of day. This technique allows users to always have access to the correct time as well as the other information provided by WWVH. 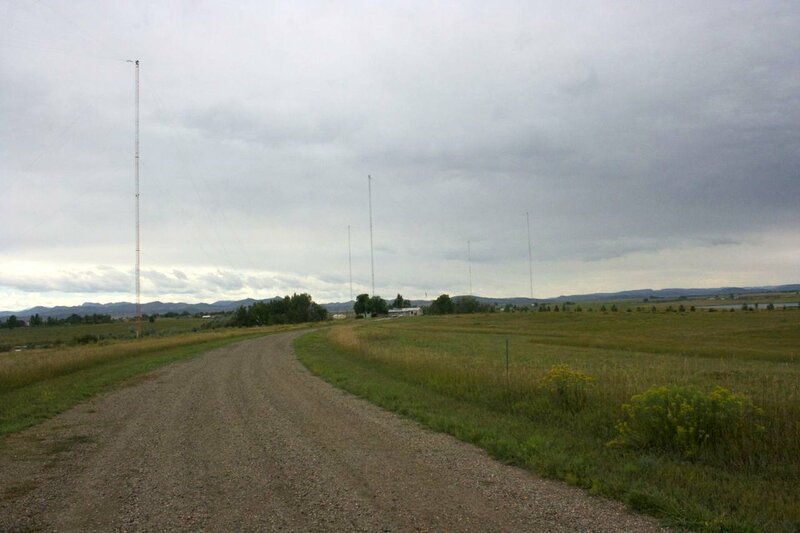 WWVH’s sister station, WWV, broadcasts out of Fort Collins, Colorado. Both stations broadcast on the same frequencies. While WWVH uses Barbe’s voice, WWV uses that of former San Francisco radio host Lee Rodgers, who died in 2013. 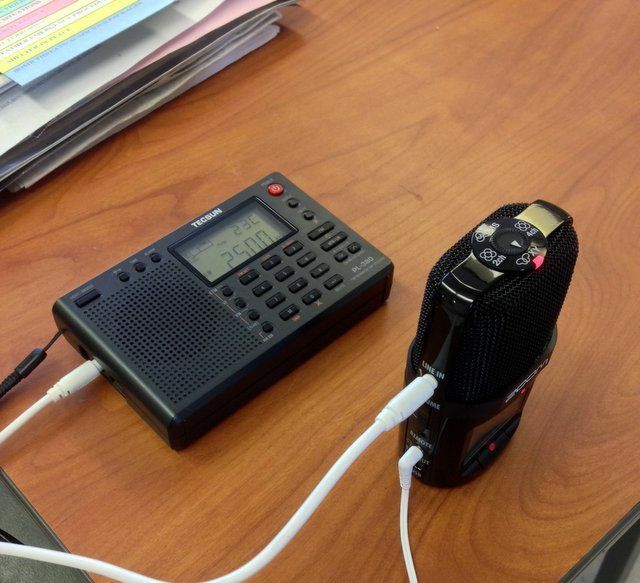 If the ionospheric conditions are just right, users can hear both stations. In addition to using different voices, WWVH and WWV make their announcements at different time intervals to prevent overlap and confusion. In 1947, NIST determined it needed to create a second station to supplement WWV and expand its coverage area to the Pacific Rim. The WWVH broadcast station was originally built at Kihei on the Hawaiian island of Maui in 1948. After 20 years, however, the encroaching ocean began damaging the property and equipment. So in 1971, WWVH moved nearly 322 km (200 miles) west to its current home on Kauai. This more-westerly location proved to be ideal, as it allowed the station’s signal to reach even more distant locales. At one point, there were nine employees at WWVH, including an on-site groundskeeper for the station’s 12 hectares (30 acres). Back then, the station was manned around the clock, but automation has whittled the staff down to four, who are now responsible for all station and land maintenance. Taken together, engineer Dean Okayama, electrical technician Dean Takamatsu, electrical technician Chris Fujita, and administrative assistant Adela Mae Ochinang, have nearly 100 years of experience operating the facility. In addition to the staff on location, John Lowe, leader of the Time and Frequency Services Group at NIST’s Boulder, Colorado, campus, manages WWVH and WWV, as well as the long-wave station WWVB, which is also in Fort Collins. A typical antenna at the station, constructed of fiberglass (to resist corrosion from the salty ocean air) with a copper-wound core. Seen in the distance is the island of Niihau. “Oh, you’re going to go out to Hawaii. Lucky you, you get the easy work,” is something Lowe has heard often from his fellow NISTers. He says he seldom explains the intense labor he puts in while on Kauai because people don’t believe him anyway. He comes to the station at least once every two years, and the staff capitalizes on the extra set of hands by saving challenging projects for his visits. Despite all the staff’s projects and problems, they maintain a 98 percent on-air rate, which, according to Lowe, is amazingly good. Someone is always on call, and it’s all-hands-on-deck during inclement weather, such as the April 14-15, 2018, monster storm that deluged the northern part of the island with 127 cm (50 inches) of rain in 24 hours, but which thankfully spared the area around WWVH. Checks are done daily to ensure the broadcasts are in close agreement with the UTC. For Okayama, these major responsibilities translate into a passion for the job. If Monday is a holiday, he has to be reminded on Friday not to come in. For the staff, the work is both fascinating and challenging. But what about all the fun that comes with working right next to a Hawaiian beach? When the clock strikes noon, Fujita packs up his gear and walks down to the beach carrying a surfboard to catch some killer waves. He and Takamatsu have been excitedly eyeing the waves since the moment they walked in that morning. At least that’s what would happen on TV. You would expect Lowe to soak up some rays during lunch on his occasional visits, but he is adamant that he runs for the air conditioning when the clock strikes noon. He believes it’s a unique place to work, but the blistering sun isn’t exactly comfortable. In its entire history, WWVH had never had a visit from the director of NIST. But that changed on March 7, 2018, when newly minted NIST director Walter Copan and his wife, who were on a long-planned Hawaiian vacation, took the opportunity to stop by the site. It was a great experience to interact with the NIST director, says Ochinang. Copan shared with them his vision for NIST’s future and some interesting things about himself, like the fact that he is a trained opera singer. I guess they’ll have to wait until Lowe is back in town. Outside of work, life on Kauai is generally more laid back than the mainland or even the larger islands of Hawaii. Although it sounds great, living in a tropical paradise is not for everyone. Many of those who move to Hawaii succumb to “rock fever,” the claustrophobia that comes from being on a small island. Fujita and Ochinang were both born on Kauai, and though they left for a few years, coming back was easy. Okayama and Takamatsu are both from Honolulu, which is on the island of Oahu, the third largest Hawaiian island. Still, they seem to have acclimated well to life on a tinier island. Kauai reminds Okayama of a quieter Oahu in the 1960s when his family used to camp peacefully under the stars at the beach. Takamatsu’s father was from Kauai, so in a way, it feels like he’s returned to his roots. So, if you want a job there, you’ll have to hang up and try again later. *June 18, 2018, Editor’s note: Public tours of the WWVH facility are not available due to limited staff, but thank you for your interest and keep tuning in! Click here to read the full article and view photos of WWVH on the NIST website. This entry was posted in Broadcasters, International Broadcasting, News, Radio History, Shortwave Radio and tagged Eric McFadden (WD8RIF), National Institute of Standards and Technology, NIST, NIST Time Station, The Spectrum Monitor, WWV, WWVH on August 12, 2018 by Thomas. As of 2042 UTC 7 July 2017 the 25 MHz broadcast is now on a turnstile antenna with circular polarization and will remain in this configuration until after the solar eclipse on 21 Aug 2017. Signal reports are requested. Schedule: typically continuous. 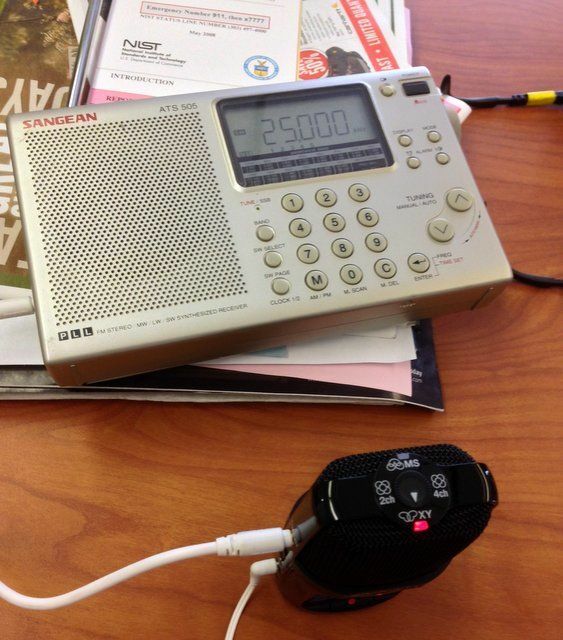 As an experimental broadcast, the 25 MHz signal may be interrupted or suspended without notice. Note that the 25 MHz signal has traditionally used a vertically-polarized antenna and for about one year (between 2014-2015) with a discone antenna. Please share your report with WWV–contact info above! This entry was posted in Broadcasters, News, Shortwave Radio and tagged National Institute of Standards and Technology, NIST, NIST Time Station, WWV, WWV 25MHz on July 15, 2017 by Thomas.